The X-27 is our intermediate trumpet. Born out of the need for something simple yet powerful in all musical aspects, the X-27 will deliver it all at a fraction of the price of competitors. 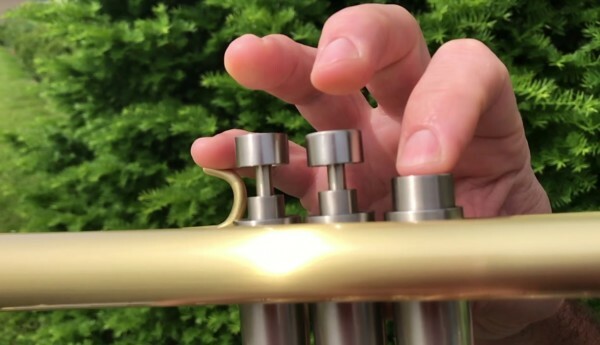 Don’t be fooled thinking this trumpet isn’t for you. The X-27 will provide you with the same great Edwards experience packed into an affordable horn. The X-27 is available in raw brass, lacquer, silver plate, or satin finish. Learn more about our finishes. New and improved taper that works together with the bell mandrel to give the player a free blow but doesn’t compromise a rich tone. New mandrel, one that works well with the leadpipe taper. Standard nickel silver pistons with lifetime warranty.